A number of years ago I stumbled across the Netvibes platform, a web-based site that allows one to collect “RSS feeds” (e.g., podcasts and other syndicated content) and organize them in tabs to create a pleasingly visual, convenient way to access content. Utilizing this platform, I created the “ReformingChristianity- Resources for the reforming Christian” Netvibes universe– a collection of fantastic online resources on Reformed theology that I regularly update. Those following the recent Strange Fire Conference of John MacArthur and friends– that takes on the widespread aberrations of theology present theology of general in the charismatic movement–may be interested in a new tab I have added to this site, titled “Cessationism”, in which I have included excellent resources on cessationism (a major theme of the conference) as well as links to the audio and video from Strange Fire. Cessationism, as most readers of this blog probably know, is a reformed theological position that believes miraculous “sign” gifts such as miracles, tongues and prophecy were given by God to the apostolic community as the Christianity was being established so as to attest that the early leaders and followers of Jesus Christ were indeed authentic messengers of God, with a true message from God. That message– the gospel of Christ, with all its implications for life, would later come to be written down in the collected teachings of the New Testament, via a process guided and overseen by the Holy Spirit. Cessationists believe that with the revelation of God now completely captured in the New Testament writings, there is no need for further revelatory gifts such as prophecy and tongues to be given at this time. Cessationism does not deny that miracles and revelation may be sovereignly given at any point the Lord may so choose, but believe that in these days the Lord has chosen not to give such gifts as a normative pattern, and that the Church finds all it needs for life and godliness available to it in Holy Scripture. Note: In response to a reader’s comment, I edited the paragraph above to be more precise. I do believe, unfortunately, that the Strange Fire conference was correct to point out that theological aberrations characterize the popular charismatic movement worldwide, whereas as reformed continuationists such as Piper, Grudem , Storms and Carson, who in their respective writings and ministries have made immensely valuable contributions to the Church, are in the minority. MacArthur appealed to these continuationists, whom he considers friends in ministry, to consider whether their openness to the continuation of charismatic gifts has “provided cover” or has lent false legitimacy to those in the popular movement whose theology and practice is at odds with Scripture. In this first installment of an interview with blogger Tim Challies, John MacArthur articulates the case for cessationism concisely and convincingly (in my view), while also defending the Strange Fire conference. Even if one is convinced that Scripture teaches all the spiritual gifts continue, I think one would be hard pressed to make a case that the sub-par prophecy and tongues and so-called miracles we see happening today in the movement are even close to matching the New Testament descriptions of these phenomena. See also my previous post, The Main Point of Strange Fire was Correct and Needed. Where Have All the Spiritual Gifts Gone? A Defense of Cessationism by Richard B. Gaffin, Jr.
Because I have been busy with coursework I haven’t had opportunity to listen to or watch all of the Strange Fire conference. I’ve read a number of commentaries on it, both pro and con. Again, the chief negative complaint seems to be the idea that a “broad brush” was used by John MacArthur and the conference in its argument against charismaticism and that its broad generalizations were too dismissive of the movement in its entirety, thus throwing some good charismatics under the bus, and not acknowledging any positive contributions from the movement. These critiques do seem to have some truth to them, based on that which I have read and seen. As I have said I think the SF argument would have been that much stronger if the conference toned down some of its generalized statements or qualified them more consistently (though indeed some qualifications were made). Still, the main point of the conference I believe was to point to abuses in the charismatic segment of the church that are rampant, extremely harmful and continuing to spread, and therefore must be challenged by responsible Christian leaders. Also an inference was being drawn– that these strange and hurtful practices stem from a flawed, unbiblical theology, one that needs to be corrected or replaced. Accordingly, cessationistic arguments were presented as the more biblical alternative. The problem I have observed is that even with the proliferation of nonsense and abuses in the movement, it appears that the urgency among the more sound charismatics is on defending the good aspects of their theology, rather than crying out loudly against the abuses. And I suggest that there should be more time given to analyzing why is it that these aberrant practices flow so much within the charismatic camp. Does not the open door to subjective revelations, visions etc. result in many of the wacky leaders claiming God’s stamp of approval on their doctrines and practices? I do sympathize with charismatics who want a deeper experience with God, more power and vitality in their ministry. Every Christian should desire this. I also applaud the charismatic’s expectation that God is ready to take action in our midst. What I object to however, is a re-packaging of gifts such as tongues and prophecy to become less than what the Bible declares them to be in terms of authority and accuracy, and the gullibility that causes people to accept claims of miracles happening without evidence. Providential answers to prayer for healing, even in ways that might be regarded as miraculous– does not necessarily indicate that we are still seeing New Testament level miracles all around us, as is so often claimed by various charismatics. It is fitting and proper that many write on these issues in an attempt to make biblical arguments in support of their charismatic practice, but I have found their arguments wanting, especially in light of the continued proliferation of bad fruit in the movement. An earnest even well-meaning desire for more of God and His power should not be allowed to overtake good judgment informed and guided by wisdom from Scripture. This is a follow-up to my last post. Thanks to those who commented. I agree with the comment by “savedbygrace” on that post– the gospel we preach defines us. This is precisely why I think it is so important we get it right. Of course as imperfect beings, we do not and will not have perfect theology this side of heaven. Nevertheless we must strive to improve our understanding, and moreover, I think God expects us to preach and teach an accurate gospel in the essentials. So, is the gospel an invitation to a “charismatic” life characterized by the super-spiritual– constantly receiving direct revelations from God on what we are to do, say and pursue; being able to “see in the Spirit”; the ability to do all the same miracles Jesus did that we may convince people to believe; prophesying that which we claim is from God (but may not be 100% accurate)? I don’t think so. We pray to God for all our needs (Phil 3:6) and may even ask Him to do miracles, which He may or may not do as He wills. We rejoice if and when God does miracles in our midst, but of course, do not and cannot demand them. We define miracles as that which is extra-ordinary (as in the healing a of a man born blind, for example). God’s providential care for us as He answers prayer doesn’t necessarily constitute a miracle, which by definition is a special and rare occurrence. Moreover we argue that the miracles of Jesus’ day were signs authenticating the message of Jesus and His apostles (Matt 12:28, 2 Cor 12:12) and that that season of miracles apparently has passed. We preach and teach the Word of God as accurately as possible (2 Peter 4:1-2), knowing it alone is God’s inspired revelation to us (unlike charismatic prophecy, we don’t need to guess what percentage of the prophecy comes from God and what part is human error). We trust therefore that God’s Word is sufficient to provide the guidance and instruction we need to properly live a Christian life and to teach and make disciples (2 Peter 1:3, 2 Tim 3:16-17). We define prophecy as Scripture does– the very words of God spoken through the mouth of people (2 Peter 1:21). So we hold all prophecy to the high standard of Scripture in terms of its accuracy– if it does not come to pass– it’s false prophecy and the person who has spoken it is falsely speaking for God (Deut 13:1-5; Deut 18:20-22). As we obey God and live for Him we ask that He would heal the sick, and we can lay hands on the sick, as the Word prescribes (James 5: 14-18). But we leave the answer to these prayers to God– if He heals, we rejoice in that, and if He does not heal, we trust that God knows best (2 Cor 12:8-10). We don’t claim God has healed if in fact He has not healed, and we don’t charge folks with not having enough faith if their prayer for healing is answered in the negative. We don’t claim to know that all sickness is caused by sin or by the devil, but trust that ultimately God in His sovereignty rules over this and all areas of our lives. Thus far we have been addressing what the gospel is not. I have claimed it is not an invitation to a supercharged, mystical life full of continuous miraculous manifestations. So then, what is the gospel and what is the normal Christian life? The gospel is that Jesus Christ– Son of God and God in the flesh– came to Earth, lived among us, was crucified on a cross for sins and was raised again by the authority and power of God after three days in the grave (1 Cor 3:3-5; John 1:9-18, 34; 1 John 5:11-12, John 10:18) . The person who puts their faith in Christ is forgiven all their sins, because God poured out His full wrath and anger at sin upon Jesus as He hung on the cross, and by raising Him from the dead, God validated Jesus’ claims to be God, in fulfillment of the many ancient prophecies that predicted a Messiah would come that would do all the things Jesus did (Romans 4:23; Romans 5:9). The life Jesus lived– a perfect, selfless life– satisfies God’s requirement of holiness– and Jesus’ record of sinless obedience is transferred to the one who has faith in Him (2 Cor 5:21). So our sins of commission and of omission are both fully taken care of and removed by the cross and the obedience of Christ, and we are thus reconciled to God, adopted as His children, and called to a new life of fellowship with Him and with brothers and sisters who have likewise been called (Romans 5:10; Col 1:22; John 1:12; 1 John 1:3). Much more could be said, but these are the essentials. So what does this Christian life look like? Well, outwardly it is a very normal life, in many respects. The Christian doesn’t necessarily look any different than before, but inwardly, a miracle of new life has been wrought in his/her heart, one which plants a desire to love God and to be obedient to Him (Ezekiel 36:26; 2 Cor 5:17). We are drawn to the Bible (1 Peter 2:2), which by the Spirit we recognize as the true Word of God to His children (1 Cor 2:12-13). This new life implanted within has a supernatural quality, in that we have new desires that prod us and help us to transcend our old selfish tendencies. But the Christian need not manifest anything outwardly spectacular. I think that biblically the Bible doesn’t teach that Christians need special experiences like being “slain in the Spirit”, speaking in tongues, the so-called “baptism in the Spirit” that is subsequent to salvation, in order to be fruitful. Yes, we are commanded to be filled with the Spirit (Eph 5:18) but this seems to be an ongoing process that involves many non-flashy activities– reading and meditating on God’s Word, obeying God’s Word, etc. Ultimately, people will know we are Christians, not because of our exciting supernatural manifestations, but rather, by the fruit we bear in love towards God and others (see John 13:33-35; 1 Cor 13). 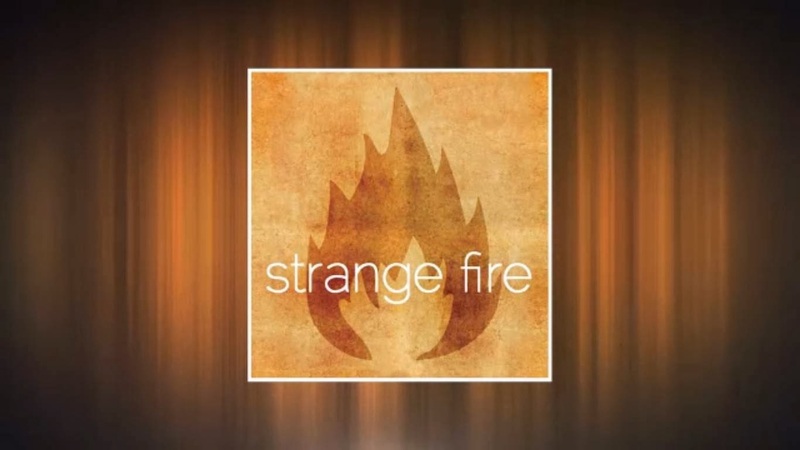 The recent conference by John MacArthur, “Strange Fire” has generated a lot of controversy. It stirs up an ongoing and often heated debate among evangelical Christians on “cessationism vs continuationism”: did miraculous gifts such as tongues, miracles and prophecy “cease” some time after the establishment of the early church and with the canonization of Scripture? Or are those gifts continuing in operation, and to be sought after and put into practice today? Unfortunately lack of clarity about terms such as cessationism, continuationism and charismaticism creates confusion as people debate these issues. Online debates I have been part of often suffer from the lack of clarity. Since there are varied positions within cessationism and charismaticism, to call oneself a “cessationist” or “continuationist” or a “charismatic” isn’t enough and usually requires further clarification. Exactly what kind of “cessationist” or “charismatic” are you? Lisa Robinson has a post right now that addresses this topic, “What is a Cessationist?…or Why I think We Need Another Term“, and I think her post is a helpful conversation opener on this. I am just learning about all of this and still reading. but it sounds to me like two “camps” with different ideas of how the holy spirit should look. they spend all their energy and time on defending “their” way instead of using that time and energy on preaching the gospel to a dying world. seems like they are missing the whole point. I think the commenter makes a salient point, one that I can sympathize with. It’s true that believers can be too focused on internal squabbles and get distracted from their main task, which as we know is to preach the gospel and make disciples. But while we must not pick a fight on every little matter, there are matters too important to our mission to not get right. In my mind there is no more important issue than getting the gospel right. What exactly did Christ accomplish for us on the cross? What should the Christian life look like? Is the believer still a sinner, or a saint who sins? Must we have all these answers precisely correct before we go out and make disciples? I am not going to attempt in the brief post to answer all of these questions (but perhaps I’ll address them in future posts). Yet I do believe it is part of the task of preaching the gospel message to be able to give accurate and Scriptural answers to these basic, critically important questions. How can we preach a saving message if the gospel we preach is not real or true or accurate? The Church is even charged with correcting false teachers/teaching. How can we do so if we don’t know what the true gospel is? We’re in the midst of a raging spiritual battle in which the forces of darkness are quite happy if the message we preach is a distortion that leads people away from the true and living God, all the while deceiving them into thinking that Christ is being truly preached. We have been warned by Christ Himself that false Christs will come (Matt 24:24), and that in the last day many who thought they were working in the name of Jesus will find that Jesus rejects not only their works but them as well (Matt 7:21-23). This is a very sobering warning. Time is short, and there are eternal stakes involved if we allow ourselves to be deceived. But there’s this carefully cultivated, non-committal spirit of indecision that permeates most of the Reformed charismatic and “open-but-cautious” segments of the evangelical community. 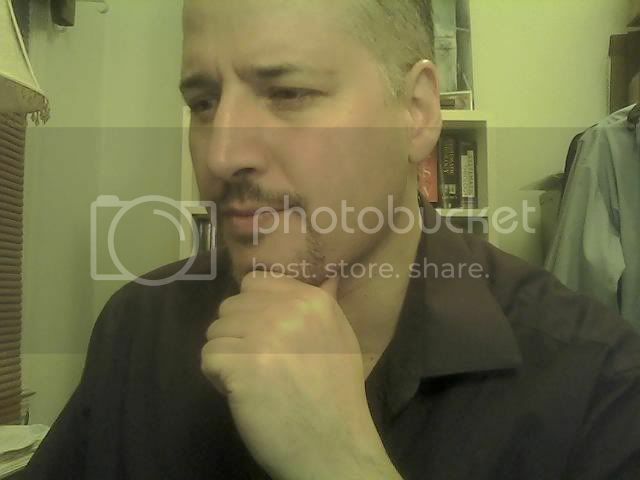 It is a deliberate agnosticism with regard to discerning spirits. So the extremists and the charlatans can make any claim or pull any stunt they like with near impunity. The handful of Charismatics who have the most influence in conservative evangelical circles have basically settled into a comfortable indifference. (Remember the line I quoted from Michael Brown earlier? “Why [should] Pentecostal and charismatic pastors renounce extremes in their movement?”) Supposedly “cautious” continuationists watch the procession of charismatic horseplay. They are curious, intrigued, generally nonplussed, but they refuse to make any judgment until after the wheels come totally off the latest bandwagon. It someone looks into the turbid swamp of charismatic sludge, and thinks that attitude of non-judgmental passivity is the baby, forget it. That kind of smug, deliberate indecision has more in common with double-mindedness than with faith. There are times when staking out a middle position is simply the wrong thing to do. And it is never more wrong than when thousands of people are going around claiming to speak for God but prophesying falsely. It is time to get the gospel right. We have been blessed and equipped to complete our mission with the authority and power of the Word of God, “All Scripture is breathed out by God and profitable for teaching, for reproof, for correction, and for training in righteousness, that the man of God may be complete, equipped for every good work (2 Tim 3:16-17).” Why then do we need to seek after sensational experiences, prophecies, miracles, tongues, especially if, when we stop kidding ourselves and admit the truth, we can see that the things we are seeking after are not authentic? How does inaccurate, hit-or-miss prophecy help anyone? How does if further the cause of Christ to claim that healing and miracles are happening when in fact they are not happening? Does what I am saying deny the power of God? No, because I am not saying that God will not answer prayer for healing, even in miraculous fashion, nor am I saying that God may not visit us with extraordinary things whenever He wants. But my charge is not to seek after the extraordinary but to humbly live for Christ. I seek His power not that I may have ecstatic experiences or by miracle doing prove to an unbelieving world that the God I worship is real, but that I may live faithfully and honor Him in the way I speak and act and live. The gospel itself is the power of God, and it accomplishes the miracle of raising the dead to life, and we have the privilege of being part of that.